The greatest guitar player in the world today is the way Chet Atkins described Lenny Breau during his brief but mesmerizing career, and, although Breau has been gone for over 15 years, his extraordinary ability on the guitar has not been matched, making his slim catalog of recordings a must have for fans and serious players alike. 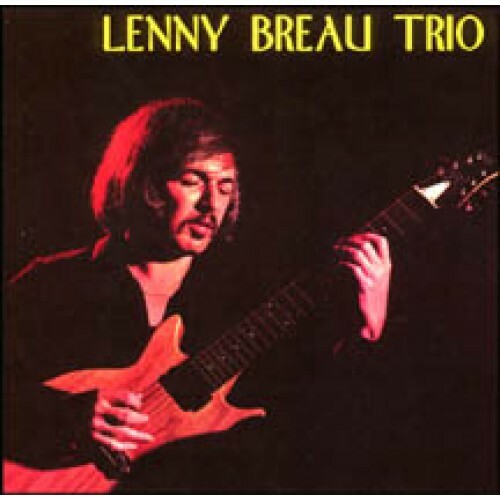 This album, Lenny Breau Trio, features the Canadian rhythm section of bassist Don Tompson and drummer Claude Ranger, plus a stunning duet with friend/mentor Chet Atkins on the first track. Recorded in the direct-to-disk method, which requires cutting an entire side at one sitting, these performances capture the excitement and brilliance of live performance, while retaining the purity of studio sound. [A]n exciting example of Breau at his imaginative, free-blowing best on electric. "He dazzled me with his extraordinary guitar playing... I wish the world had the opportunity to experience his artistry." "Lenny Breau played more great stuff at one time than anybody on the planet... with feeling and tone. He was the best that ever lived, bar none." "He had the ability to reach into your heart." 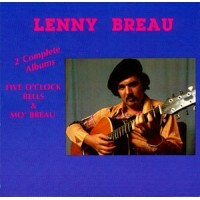 The late Lenny Breau was an uncrowned king of jazz fingerstyle guitar. a relatively unknown voice on the instrument, he startled newcomers to his music by his ability to comp chords behind himself sounding like two guitarists, ring out lengthy bell-like harmonic passages, tastefully blend his influences of country, jazz and flamenco and fluidly improvise in this style. After reading these tributes to the mysterious Mr. Breau, son of middle-rank Canadian country guitarist Lone Pine Breau and, as a youngster, a student of Chet Atkins, I was more than ready to hear the five song CD recorded in 1979 and digitally remastered in 1999. 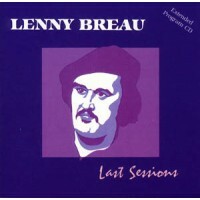 After hearing the five songs, I was sorry that the CD was so short and sorrier that I’d been missing out on Lenny Breau’s playing for so all these years. An innovator as pioneering as Django Reinhardt, Charlie Christian and Wes Montgomery, his early demise has, to date, kept him from becoming familiar to most players and fans of jazz guitar. Thanks to the Adelphi/Genes record label and their extremely active commitment to identifying and promoting great modern music, Breau’s adept, quirky finger-picking jazz stylings and uncanny ability to sound like two or even three guitarists at once is now easily accessible to us all.